Twenty miles west of downtown Cleveland, in the northeast corner of Lorain County, Avon Lake hugs five miles of Lake Erie shoreline. Once part of a land called Xeuma by the Erie Indians and later part of Tract Seven of the Western Reserve, the area was difficult to tame, but forests became ships and swamps turned into fields. By 1900, the fields were mostly orchards and vineyards. The arrival of the Lake Shore Electric Railway turned the scattered rural township into a summertime resort destination, thus igniting a real estate boom. By World War II , the LSE was no more, but plentiful, affordable, and locally produced electricity and water made Avon Lake a good place to make a living and a desirable place to reside. Fruehauf and B.F. Goodrich arrived and stayed, followed by more industry, commerce, suburban settlers, and commuters. Avon Lake became a city in 1960, and today 24,000 residents call it home. 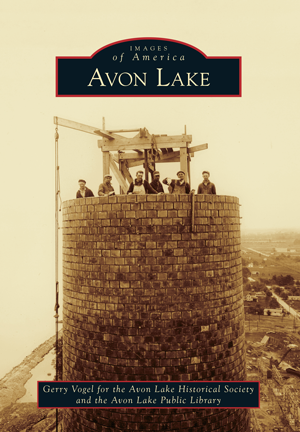 The Avon Lake Historical Society and the Avon Lake Public Library worked together to collect and present photographs in this book. Institutions, businesses, and community organizations, as well as current and former residents and their families, all contributed photographs, documents, and stories to make this work possible.